I just returned from a trip to Philadelphia. While I was there, I visited Independence Hall. Independence Hall is where both the Declaration of Independence and the United States Constitution were signed. It’s awesome to be able to walk through history and to see where our rights and freedoms as American citizens were signed. In the preamble of the Declaration of Independence, it states“ Life, Liberty, and the pursuit of Happiness.” The pursuit of happiness has always stuck out at me, even as a young girl. I remember back in elementary or middle school, we had to write essays on what we thought it meant. Now at 28 years old, the pursuit of happiness has an entire different meaning to me. Organic happiness is something that I have been searching for, for a long time. But, I have stopped searching because as I have learned, happiness comes from within. It is a choice. Happiness does not come from the things you have, how much money you make, how many presents you receive, or what honors you achieved. Sure, those things do bring temporary bliss, but they do not equal complete organic happiness. My whole life I have always said, “I’ll be happy when I graduate high school” or “I’ll be happy when I graduate college”, or “I’ll be happy when I land that job”, when really happiness was in front of me the whole time. Those things that I thought would make me happy did in the moment. But then when the temporary high wore off, I needed a new fix for the next happy occasion or life goal. I almost forget to enjoy the little moments because I was so focused on the end goal. 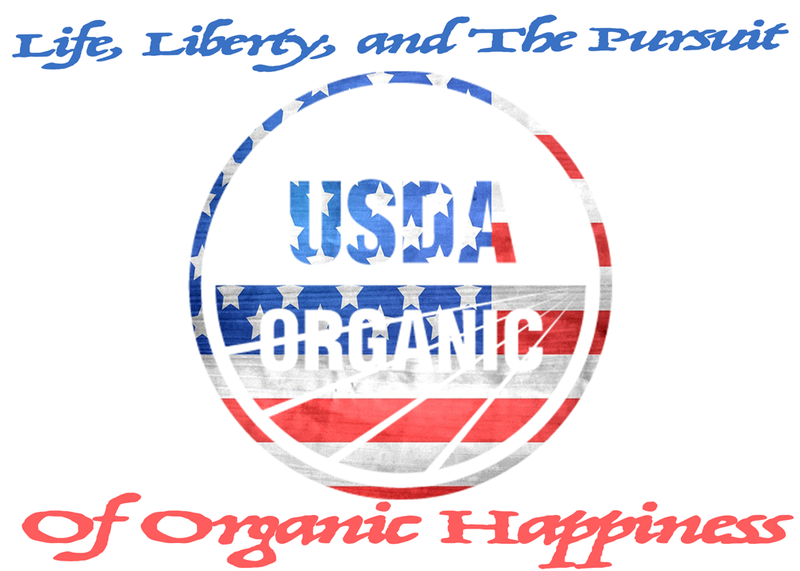 Organic happiness is not just about the end goal. It’s about everything! Most of us live with the perception that someday I’ll be happy. When we achieve our goals that we will be happy. But someday is an illusion and right now is all we have. So right now is the perfect time to be happy. When I was in my teens and early twenties, I had this notion that my happiness directly depended on someone else and their validation of me. I thought that finding a man would fulfill that happiness for me. Let’s just say that didn’t end well. After those failed few relationships, I took some time to recreate myself. What I found was that I am in control of my own happiness and fulfillment. Any time you focus on someone else to make you happy, you go down a dangerous path, which ultimately leads to despair. What I did was I started traveling and exploring new things on my own to truly learn what it means to love myself, which has always been tough for me to learn. Loving yourself is the first step to obtaining organic happiness. 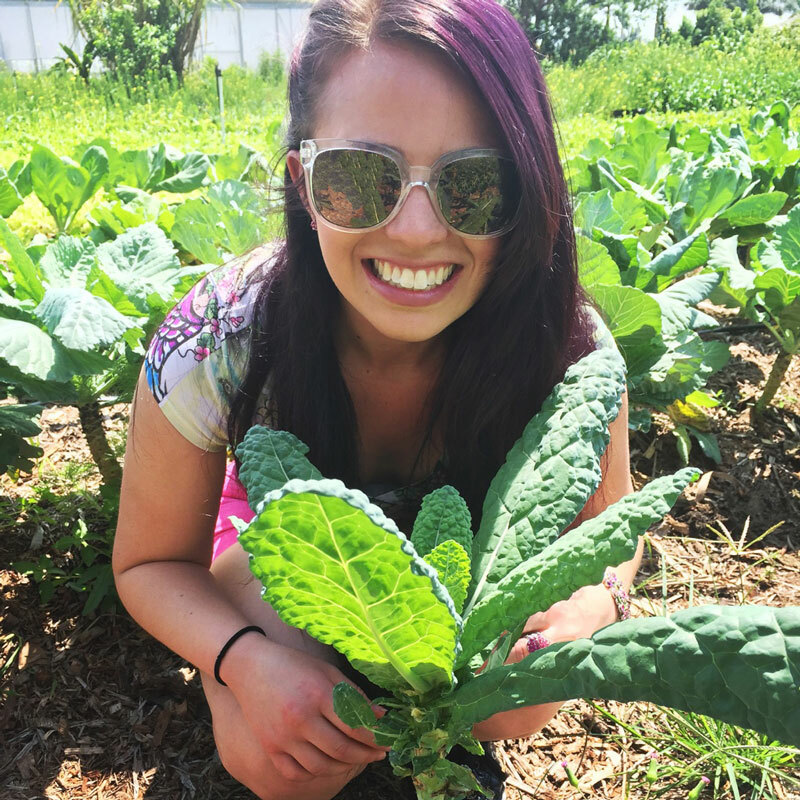 Also, I learned that doing things for other people also created organic happiness for me. I love giving people my time, helping them, giving complements, and just being an open ear to listen to. Making a difference in someone else’s life and contributing to society are some of the best ways to achieve happiness. To reiterate again, happiness does not come from your parents, from your family, from your significant other, your income, your materialistic possessions, your degree, from your friends, or from any other outside source. Sure, those things add value to your life but they CANNOT be your ultimate source of happiness. Happiness is a feeling and an emotion. When I feel happy my whole body feels light, I have a lot of energy, and I have a huge AUTHENTIC smile on my face. The reason I bolded the word authentic is because we all know how to fake a smile and we all know how to fake happiness. But when you feel true happiness, you can feel that emotion with every fiber in your body. Also, everyone around us can feel that authentic happiness that we are portraying. In my pursuit for organic happiness, I will no longer depend on anyone or anything for my happiness. I am in control of my life and my happiness. The amazing people that I surround myself with are the ones who add so much value to my life but I will not depend on them to make me happy. It is not a burden that I will ever dump on anyone anymore. I will never give anyone that much power to control my happiness. I have done that in the past and trust me you lose yourself real quick when you do that. And, you end up with disappointments and unrealistic expectations. The people that you give the power to make you happy also have the power to make you unhappy and that is something you must remember. While writing this blog, it just so happened that one of my friends posted this quote below on her Instagram. 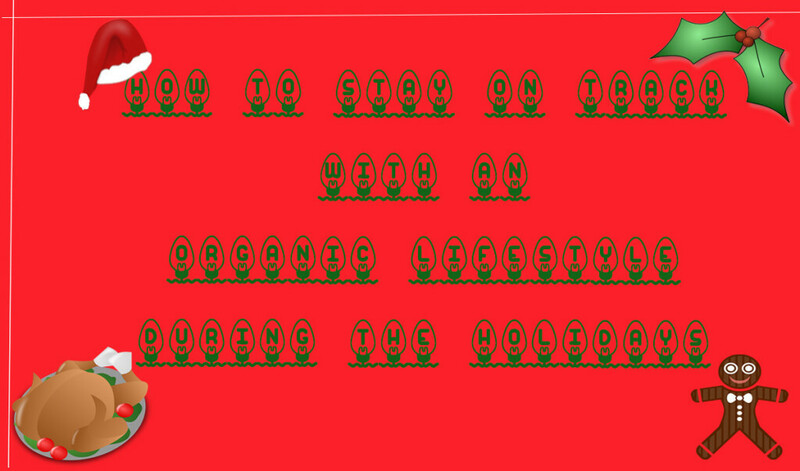 I thought it was perfectly written and complemented what I am writing about. Always remember that organic happiness is a choice. It is the way in which we respond to not only our victories, but most importantly to our trials and tribulations. It’s about enjoying every moment, which includes both the journey and the destination. Life is all about the moments we create, the people we create them with, how we love others, and how we love ourselves. It is also about what we give, how we give, and how we contribute to society. That is the ultimate pursuit of organic happiness. After everything I have learned thus far, I will no longer search for organic happiness because I will create it in every moment that I am still breathing. Life is too short to be anything but happy. 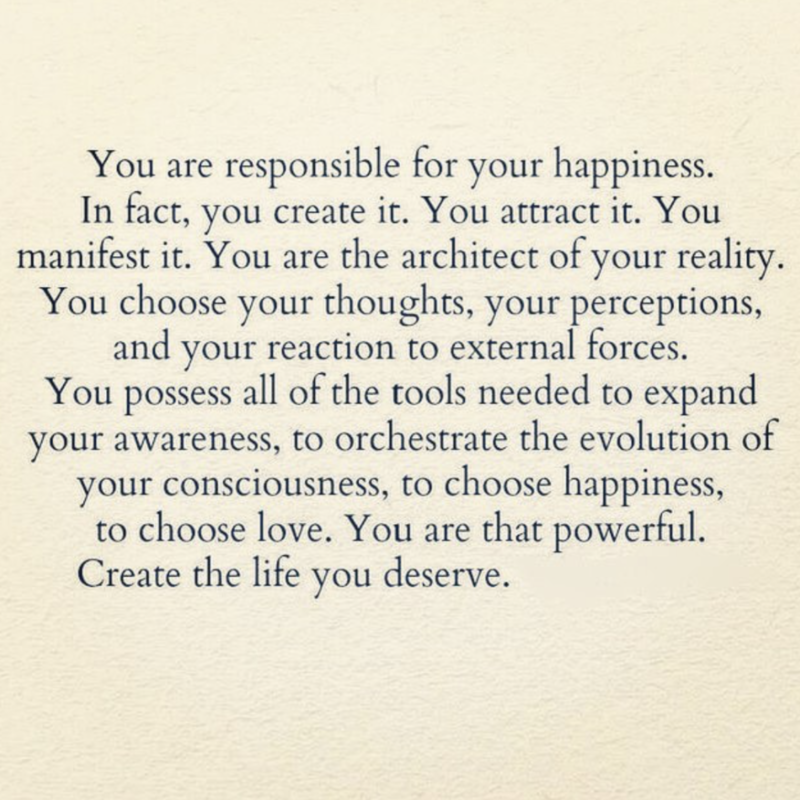 I give you all the power to create your own organic happiness, whatever that means to you, because you all deserve it! 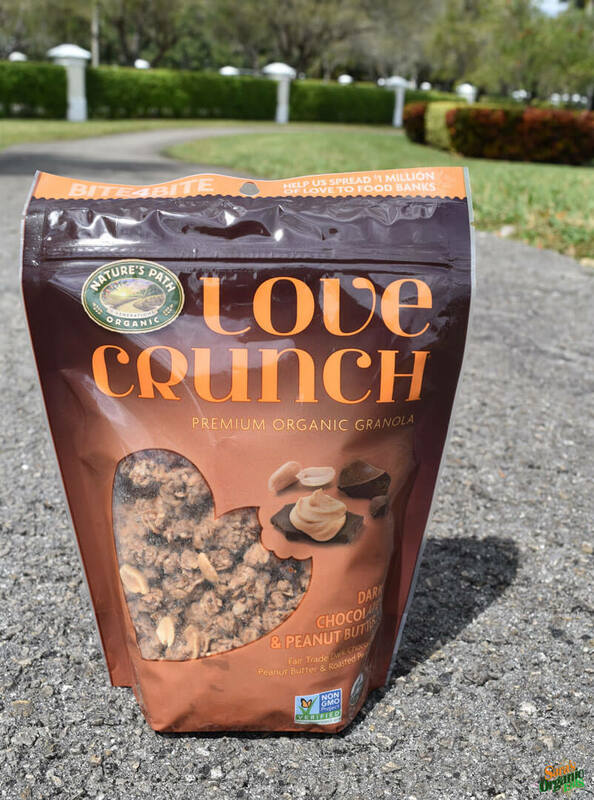 Dark Chocolate and Peanut Butter Love Crunch is the newest flavor to Love Crunch which is a premium organic granola produced by Nature’s Path Organic. All of the Love Crunch flavors are amazing but by far, this is my favorite one. It just came out about 3 months ago and I was so happy to have found it. I mean, nothing goes better together than chocolate and peanut butter! 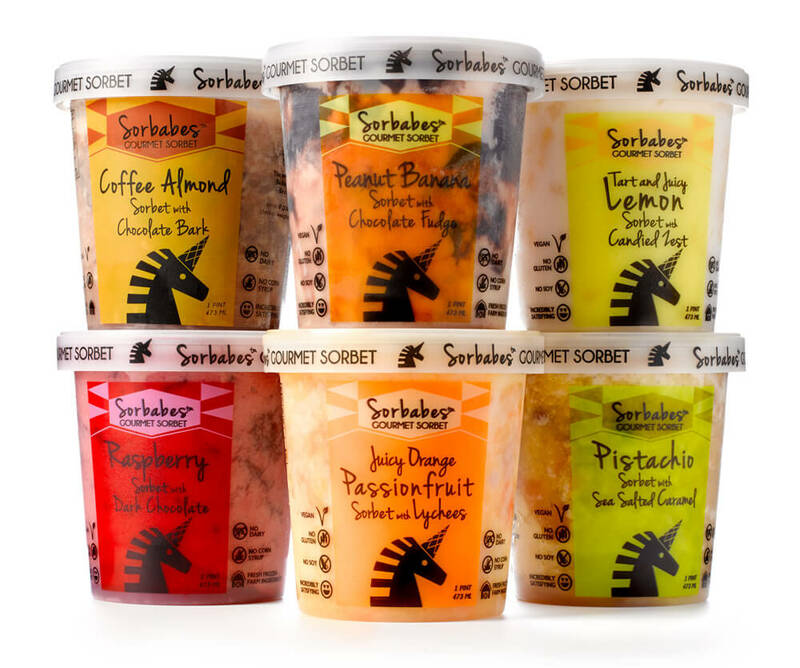 Unlike most Love Crunch flavors which you can buy at your local Whole Foods Market’s, Fresh Markets, and other natural markets, the dark chocolate and peanut butter flavor is exclusive to Target stores. The granola is full of chocolate and peanut butter flavor. It is also the perfect amount of crunch that won’t break your teeth. There are small square pieces of dark chocolate scattered throughout the bag along with actual pieces of roasted peanuts. 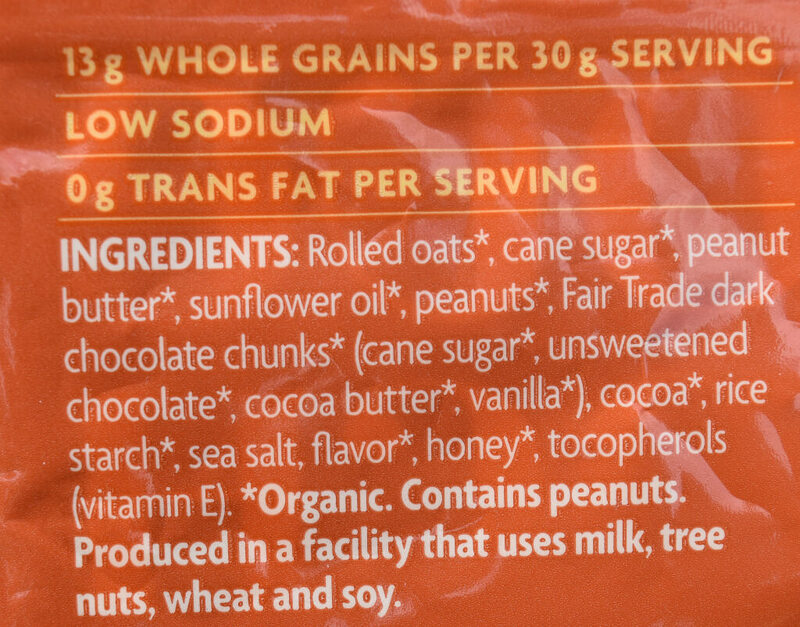 Even with the pieces of roasted peanuts in the mix, the actual granola part tastes like peanut butter. Bite after bite, you get more and more of the flavor of creamy peanut butter. When you open the bag, you can smell the delicious fresh peanuts and chocolate. It is the perfect amount of sweet, chocolate, and roasted peanuts. This will certainly satisfy your dark chocolate and peanut butter cravings. You can eat this as a snack, on top of yogurt, in your cereal, or any other way you like to enjoy granola. It is certified organic, NON-GMO Project Verified, Kosher, low sodium, and suitable for vegetarians. Like their other products, they use Fair Trade dark chocolate. If you are ready to taste the delicious new Dark Chocolate and Peanut Butter Love Crunch, head out to your local Target and pick up a bag or two. Trust me it will go fast in your house! 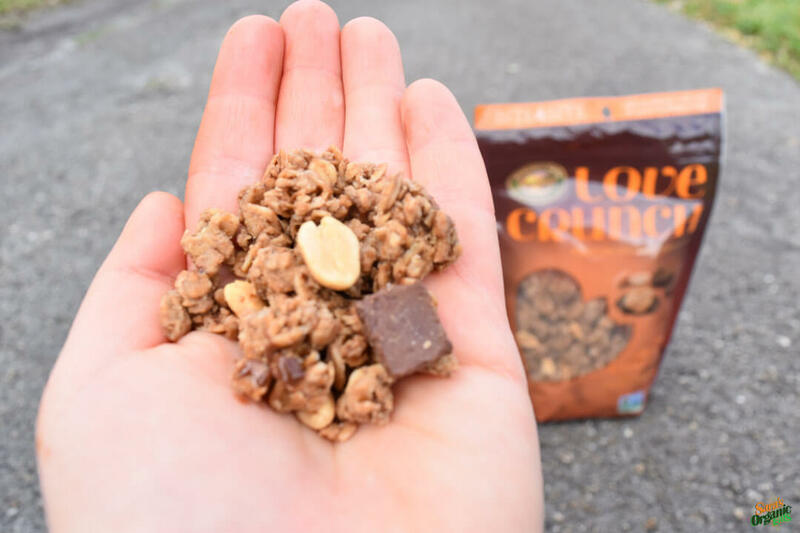 There is so much love in that crunch that you will be begging for more. For more information please visit Naturespath.com. 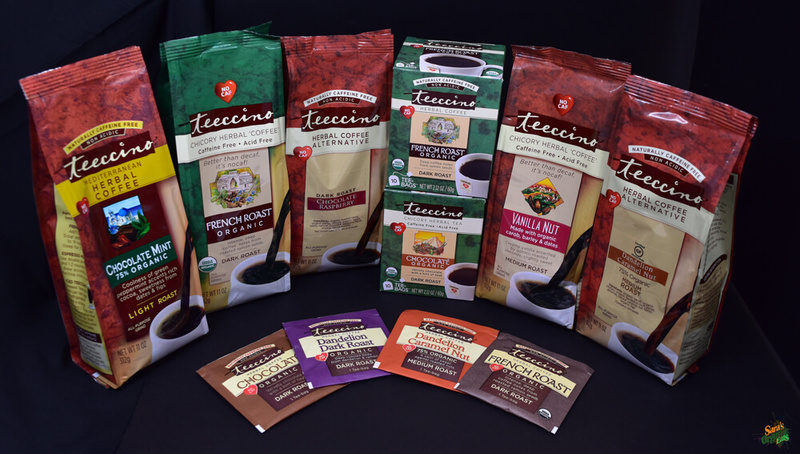 Teeccino, pronounced (Tea-chee-no) is an herbal coffee alternative. Teeccino is used to help others who cannot have caffeine or acidic beverages still enjoy a product that resembles and tastes like coffee. Roasted fruits, nuts, grains, and herbs are blended and grown to taste like coffee when brewed. The main ingredients of Teeccino include, chicory root, carob, barley, dandelion root, ramón seeds, almonds, dates, figs, and other natural flavors. Just like when you open a bag of coffee and you inhale the aroma of the beans with a smile on your face, you achieve that same feeling when opening up a bag of Teeccino. You just can’t help smiling and feel thankful for such a wonderful coffee alternative with benefits that won’t cause side effects for those of us who are sensitive to caffeinated and acidic beverages. The aromas are heavenly especially the flavored ones. Teeccino either comes in grinds where you can brew it in a regular coffee brewer or it comes in Tee- bags where you can brew it just like tea in hot water. My go to flavors have always been the French Roast Organic and the Chocolate Organic. The chocolate one has that little hint of chocolate in it and the French Roast taste like a traditional coffee. My favorite part is when I add my favorite dairy free creamer to it and I see the swirl of the creamer mixed with the Tee. I love using either So Delicious Vanilla Coconut Milk Creamer with it or Califa Farms Almond Milk Pecan Caramel Creamer. Dairy free creamers taste amazing with it! Feel free to use which ever creamer you please to enjoy with a cup of delicious Teeccino. The best way to describe Teeccino is that it tastes like a mix of coffee and tea. It contains the strong flavors of coffee but the flavors come from roots and herbs which is pretty amazing. 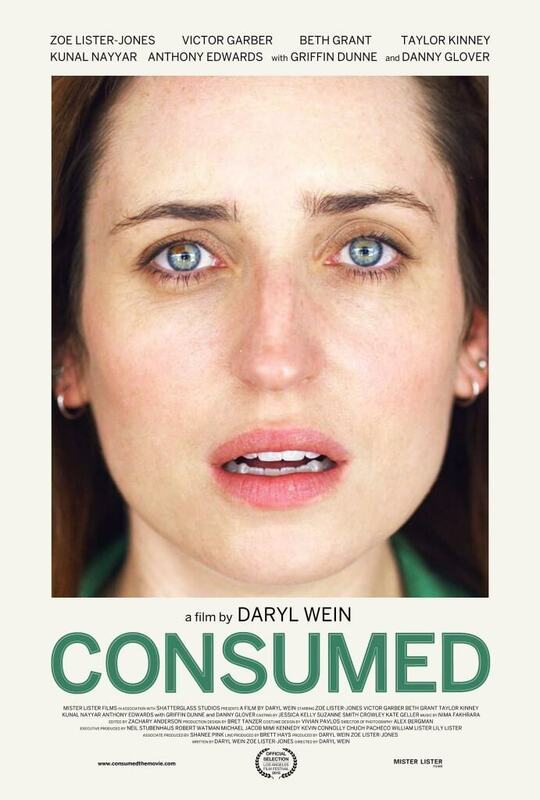 Last night I saw a new movie called Consumed at my local movie theater. I have watched many deep food documentaries like Food Inc and Forks Over Knives, just to name a few. Those intense and informative documentaries make you want to stop and think about what you are eating or stop eating altogether. But, unlike those persuasive food documentaries, I have never felt an impact as much as I have with Consumed. Consumed is not a documentary. It is a dramatic thriller and a political movie that dives into the complications and politics surrounding genetically modified organisms. The tone is a gloomy one, filled with paranoia and suspense. Some of the main actors include Danny Glover, Victor Garber, Taylor Kinney, Zoe Lister-Jones and Kunal Nayyar. Consumed is about a mother who finds an unexplainable rash on her young son and searches for answers on what the illness is. She believed it was caused by the food she was feeding her son, particularly genetically modified organisms. It also intertwines with stories about an organic farmer, scientific researchers and a biotechnology corporation. The best part is that it shows you from all different angles between the farmer, the CEO of the biotechnology corporation, the researchers, and the common people on how GMOs affects us all. The movie is not one sided which is much appreciated. It is fascinating to take a look at the world of GMO’s from all different viewpoints. The reason Consumed is so powerful is because even though it is “just a movie” it is so relatable to what is going on currently in our country with our food system. This movie is such an eye opener and makes you want to start asking a million questions. The movie is so convincing in a way that makes you want to fight for your food rights and think about what you are eating, without the writers of the movie even pushing their views on you. That is how you know how influential this movie is. Unfortunately, many people still have no clue what a GMO is and how it is affecting us and our children. I hope this movie will shed a light to people who have no inkling or even care about what is going on. I commend the filmmakers of Consumed on their brilliant story and for bringing the topic of GMOs to life through a wider audience. I left the movie theater saying, “wow, this is heavy and super intense”, but it is a movie that must be seen by everyone. Consumed partnered with Gathr films to allow people to bring Consumed to their communities. For a screening near you please visit http://www.consumedthemovie.com/screening-list. For more information on Consumed please visit. http://www.consumedthemovie.com . Holidays occur throughout the whole year. During the months of October through December, when all the big holidays arrive, we give ourselves the permission to gorge a little more than normal thus resulting in forgetting our “diets”. Let’s face it, those holidays are all centered around food first and family and friends second. Our coworkers bring in all these amazing cookies and cakes into the office and there are so many sweets lingering around the house. 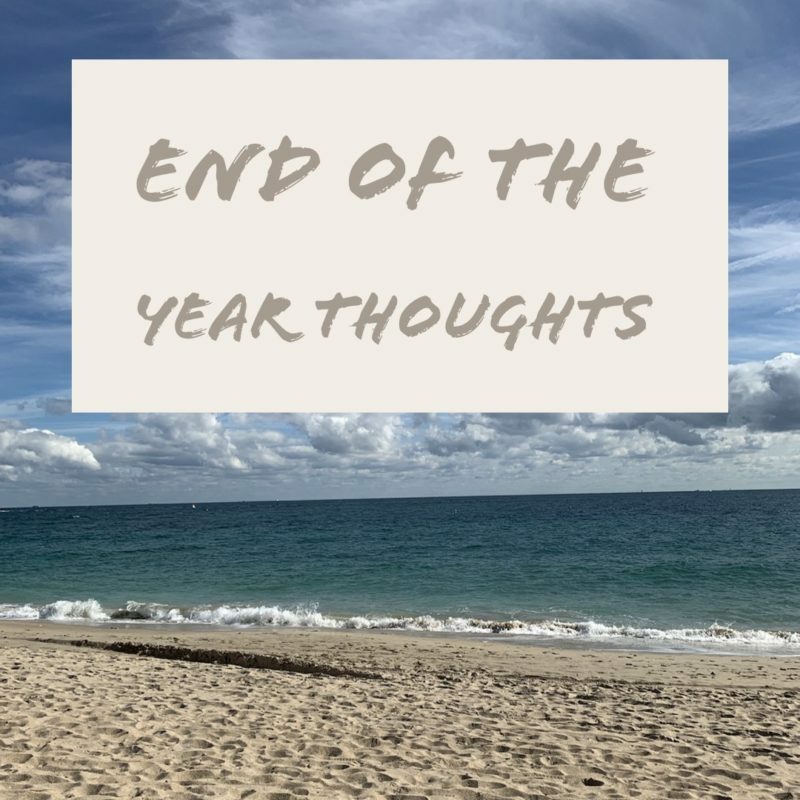 We tell ourselves “It’s the holidays, it’s okay.” I am sure many of you can relate to that statement. The holidays are a time to enjoy and celebrate with our families and friends and of course to eat our family’s best dishes. The most important thing to remember and to teach ourselves is portion control so that we are able to maintain our weight, still eat our favorite foods, and not pack on those lovely holiday pounds. Also, to maintain an organic lifestyle during this time of year, the best way is to cook with organic ingredients and only keep organics in the house. I am here to tell you that it is possible to get through the holiday season without ruining your organic lifestyle and without buying new pants. Now if you are like me, who is very devoted to an organic lifestyle, how do I possibly make it through the holiday times with eating organic and maintaining my weight? Here are a few things that I do. Since I love to cook and bake, I have taken on the liberty to cook at almost all of our family functions during the holidays. That way, I am certain that everything has been prepared using organic ingredients. I make all of our family’s favorite holiday dishes using organic ingredients when in the past we used conventional ingredients. Sometimes we have parties or holidays at my family’s house and they have been so supportive that they will make organic dishes for me. Also, I will usually make something as well and bring it to the party. Even with the holiday season I still shop, eat, and keep organic food in the house. I wouldn’t sabotage my lifestyle just because these holidays are surrounded by high fattening, un-organic, sugar laden, tempting foods. But, I want to be clear and tell you that I still do eat high fattening, sugar laden foods but made organically and of course in moderation. The way I maintain my weight during the holidays is really all about portion control and eating small amounts and trying my hardest not to take seconds. I have taught myself the power of portion control and self control and that has made all the difference. You can offer to cook for your families and find some healthy alternative recipes that still taste great. Keep organic foods in your house. Go out and buy organic ingredients for your recipes. This is the only sure way that you know you are sticking to an organic lifestyle. If you are going to a family or friends house during the holidays, make a few dishes or desserts that you know you will eat and with organic ingredients. Don’t be afraid to tell the host of the holiday dinner you are going to, of your dietary lifestyle. Portion Control is the most important to learn and it takes a lot of discipline but you can do it!! It really is all about mind over food. The best advise is to use smaller plates. The smaller the plate you use, the smaller you will take. Also, if you try something and don’t like it, don’t force yourself to eat it. Food brings us together and reminds us of our memories and our family. What makes the holidays so special are the people we share it with especially those friends and family members we only get to see once a year. So please enjoy the food that has been so lovingly prepared. Just remember that you have the willpower to stay on track during the holidays and you can eat food without it eating you. I hope you all have a wonderful holiday season with your loved ones! 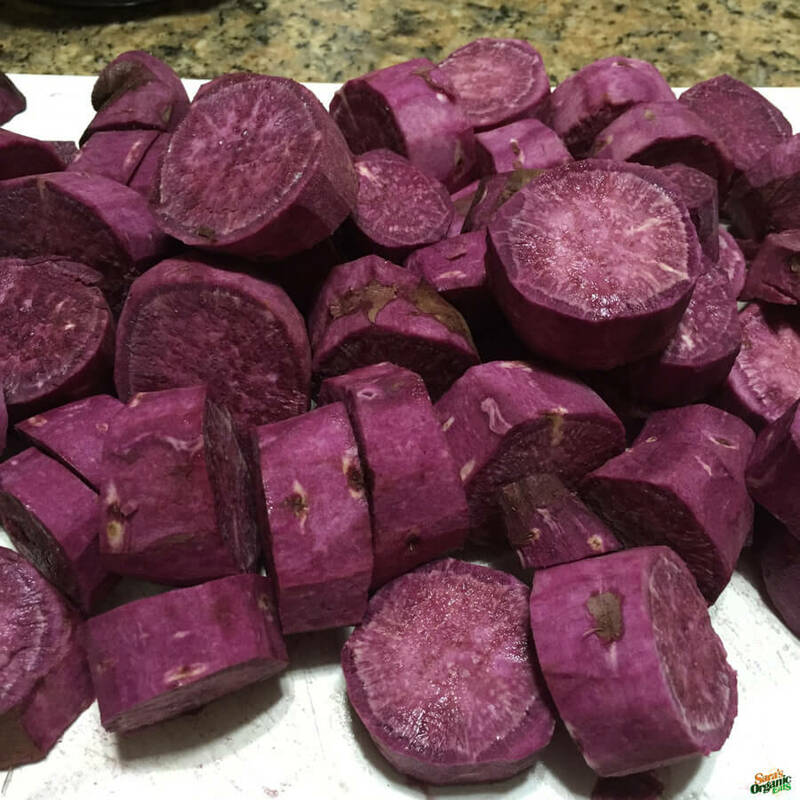 Have you ever tried a purple sweet potato? If you haven’t, you should go to your local farmers market or specialty grocery store and purchase a purple sweet potato. 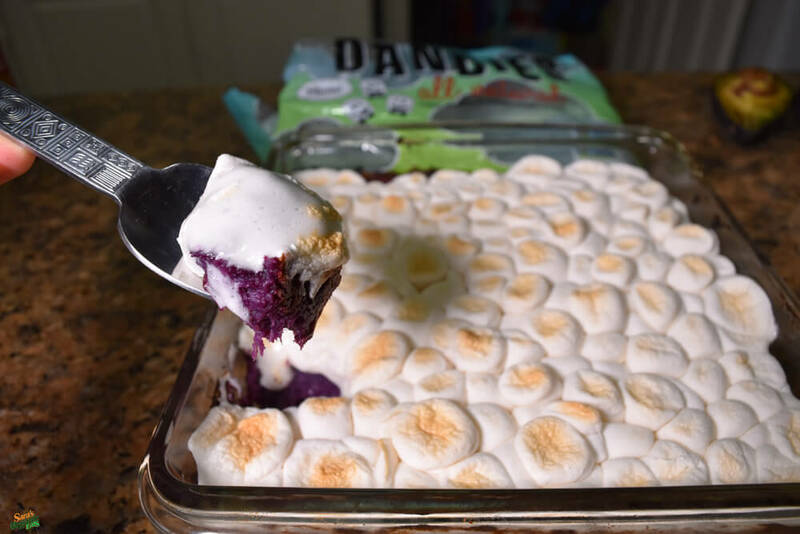 Not only is the purple color amazing, but the taste is sweeter than a normal orange sweet potato. You can cook them the exact same way as you would any regular sweet potato. It is high in antioxidants. Because the color is so vibrant, you can use the coloring from the potato as a natural dye to other foods. About a month ago, I found organic purple sweet potatoes at my local Whole Foods Market and I decided to make a sweet potato casserole. Ever since then, I have made this recipe 3 times within the past 5 weeks. This is a great side to any dinner and it’s also a twist on a traditional sweet potato casserole for Thanksgiving. Your guests on Thanksgiving will be surprised on how amazing, beautiful, and delicious this casserole is. No one will ever know that this recipe is Vegan. The most important part is that you do not have to be a Vegan to like and fall in love this recipe. Cut and peeled purple sweet potatoes. Add these to a pot filled with boiling water. Cook for 15 minutes. Preheat oven to 375 degrees. Peel and cut sweet potato into rounds (it doesn't matter the size of the rounds). Place potatoes in a pot with water. Make sure the water covers the potatoes completely and then boil for about 15 minutes until soft. Drain the potatoes but make sure to keep about 1/3 cup of water. Feel free to add more water if you like a thinner consistency. Mash the sweet potatoes with the butter. Then add maple syrup, vanilla, salt, and cinnamon and mix until fully incorporated. 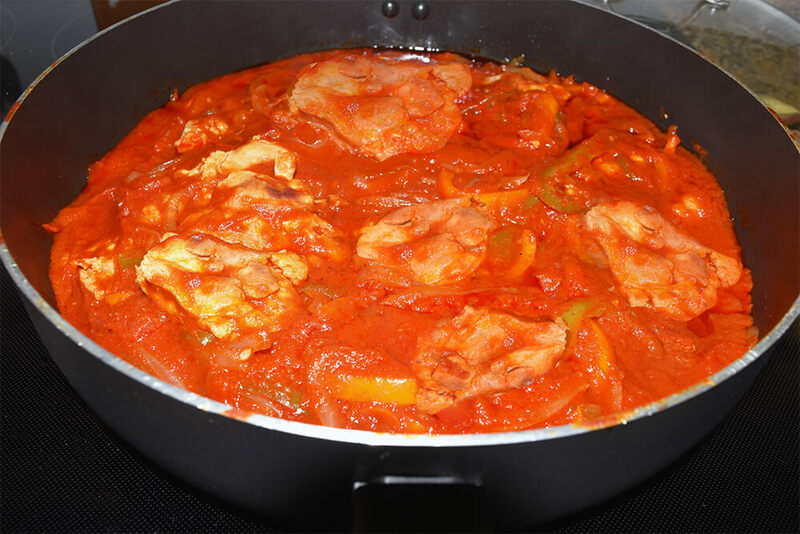 Place in a 2 quart casserole dish coated with coconut oil spray or any vegetable oil spray. Bake for 35-40 minutes until lightly browned on the top. Then add the full bag of Marshmallows. Put back in oven for about 5 minutes. After the 5 minutes, If you desire, you can also then broil the casserole for about 2-3 minutes on low. If you do not want to make this Vegan, you can use butter and marshmallow of choice. I hope you enjoy this sweet, delicious, beautiful, comforting Vegan purple sweet potato casserole. 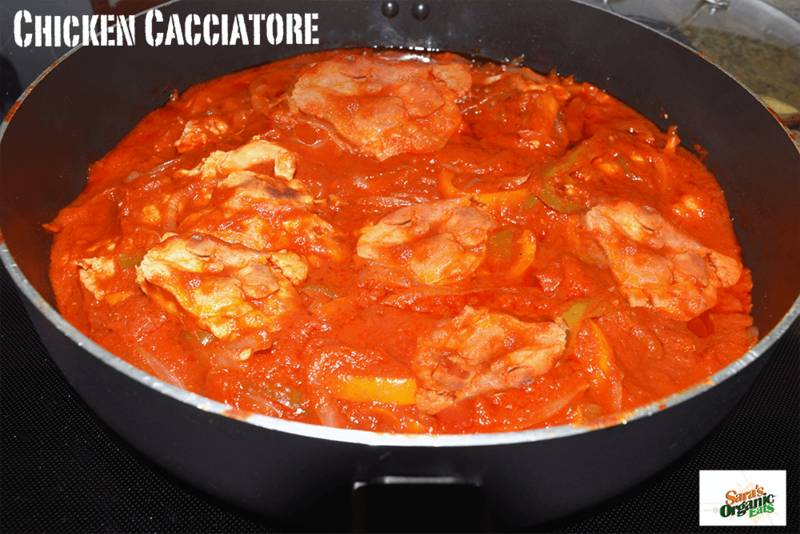 This organic chicken cacciatore recipe is one of my favorite recipes that I make on a regular basis. It is so easy to make and super delicious. I use all organic ingredients. The best part about this recipe is that all of the ingredients are easy to find and are usually on hand in a standard household kitchen. I pair this with either quinoa, brown rice, spaghetti squash, or gluten free spaghetti along with an outrageous portion of vegetables. I hope you enjoy it as much as my family and I do! Heat a large saucepan on medium heat. Add a tablespoon of olive oil. Once heated, add the onions, green and red peppers, and cook until soft for about 5 minutes. Add the garlic and cook for 1 minute. Then add chicken and cook for about 7-9 minutes until all pink is gone. Next add the tomato sauce, tomato paste and spices. Bring to a boil and then bring to a simmer for another 15 minutes.